Kimmy told me I could choose what kind of cupcakes she gets for her birthday this year. I decided to make her milky way cupcakes since I had recently lucked into 20 Dreamy candy bars. 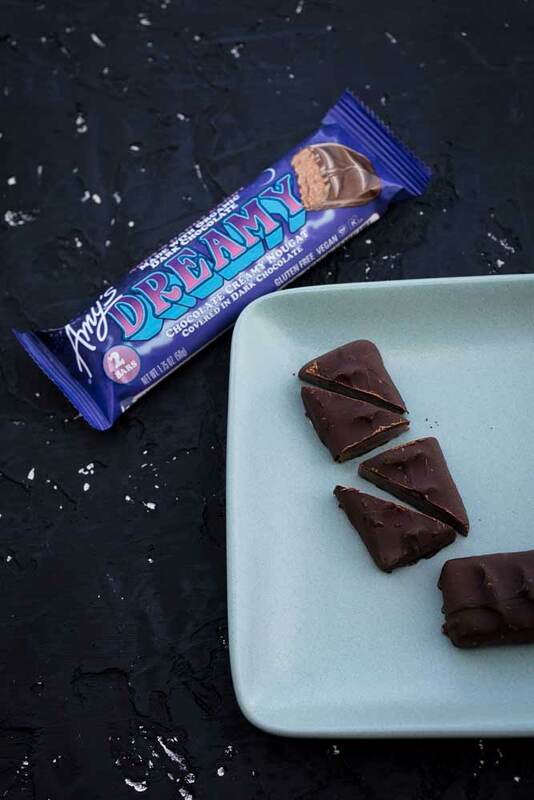 Skott told me that Dreamy bars are basically a vegan version of milky way candy bars, which is lucky because I’ve apparently blocked all memories from my mind that occurred before my veganism (except for mounds and almond joy because I’m obsessed with every chocolate and coconut matrimony). Being the surprise ruiner that she is, Kimmy later told me she wanted galaxy cupcakes, so either great minds think alike, or mediocre minds think alike, but regardless, she’s getting the cupcakes she wanted even though I’m taking credit for the idea (since I had it first…me me me, hahaha). I froze these overnight since they needed to go on a road trip to Ojai the next day, where we had a girls weekend to celebrate Kimmy and Lizzie’s birthdays. They defrost perfectly and taste amazing, so feel free to make these in advance if needed. 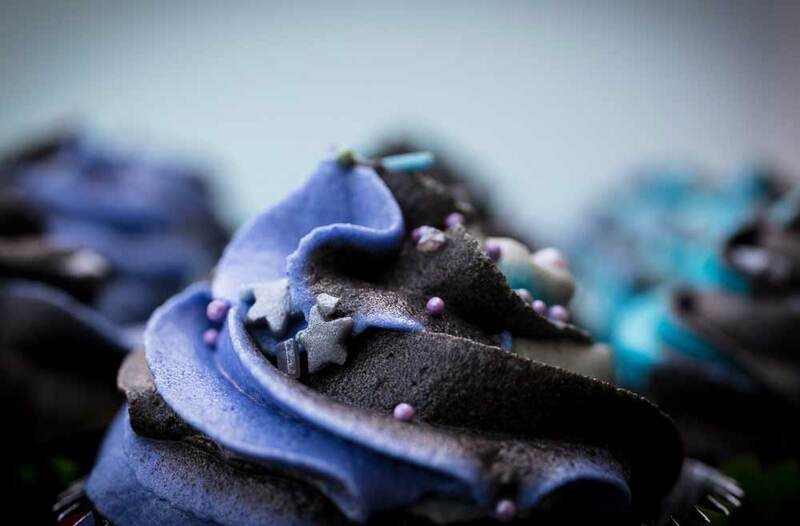 This recipe makes 24 chocolate milky way galaxy cupcakes. Unwrap 3 candy bars. Each dreamy bar comes with 2 smaller bars inside. Cut each smaller bar in half, and then cut each half diagonally in half, so you end up with 24 triangle-shaped pieces. Sift together the flour, cocoa powder, baking soda, and baking powder into a large bowl. Add the oil, sugar, and vanilla to the nondairy milk mixture and stir well. I use my kitchenaid with the beater attachment. 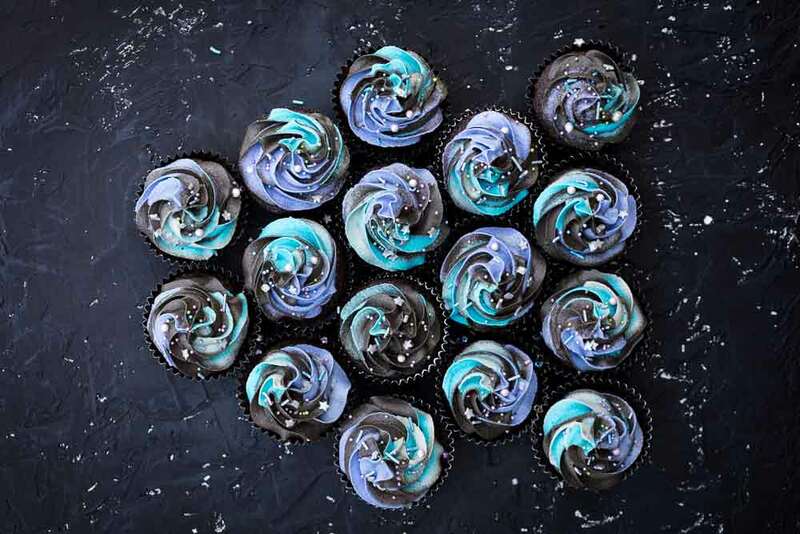 Stick a triangle piece of dreamy bar into each cupcake. Bake for 18 minutes. When you insert a toothpick into the center of one, and it comes out clean, remove from oven. Set pans on cooling racks to cool for 10-15 minutes. Then remove cupcakes from the pans and set them directly on the cooling racks to finish cooling completely. Add the vanilla extract, and mix for 2 more minutes. Divide the frosting into 4 bowls. 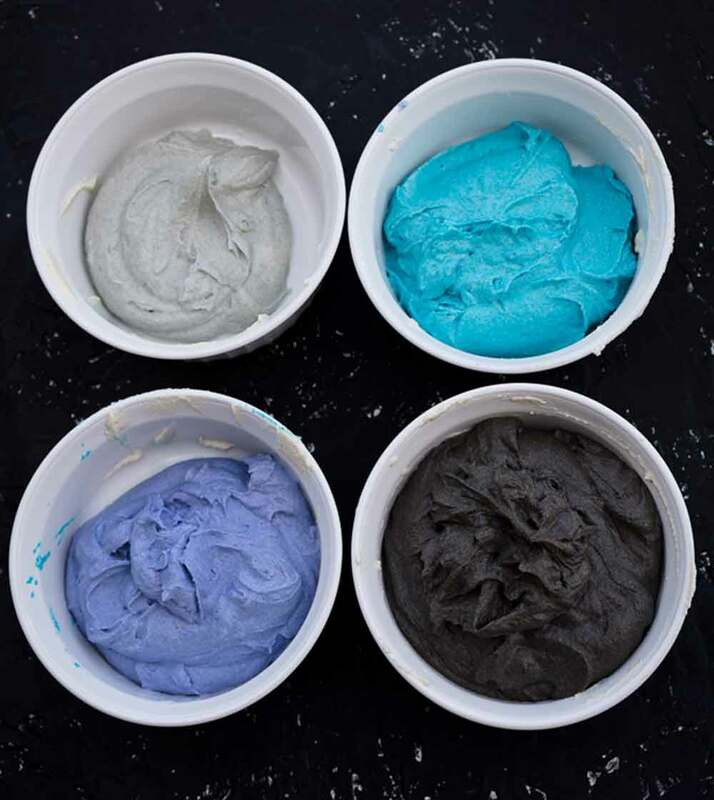 Add food coloring to each bowl of frosting, and mix well (I used the stand mixer with the whisk attachment). You can use any colors you like, but I used black, purple, and blue to make these colors: silver, blue, purple, and black. When you make the black color, add 4 tablespoons of sifted cocoa powder. This will help you get the black color without using an entire bottle of food coloring. I made twice as much black as I did any other color. 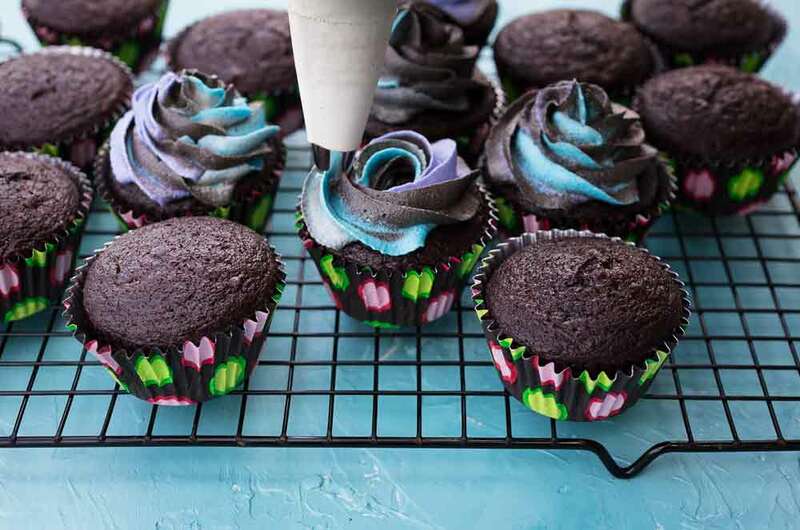 Fill disposable piping bag s or reusable piping bag s (or you can just use baggies with a hole cut out of the corner) with the 4 colors of frosting. 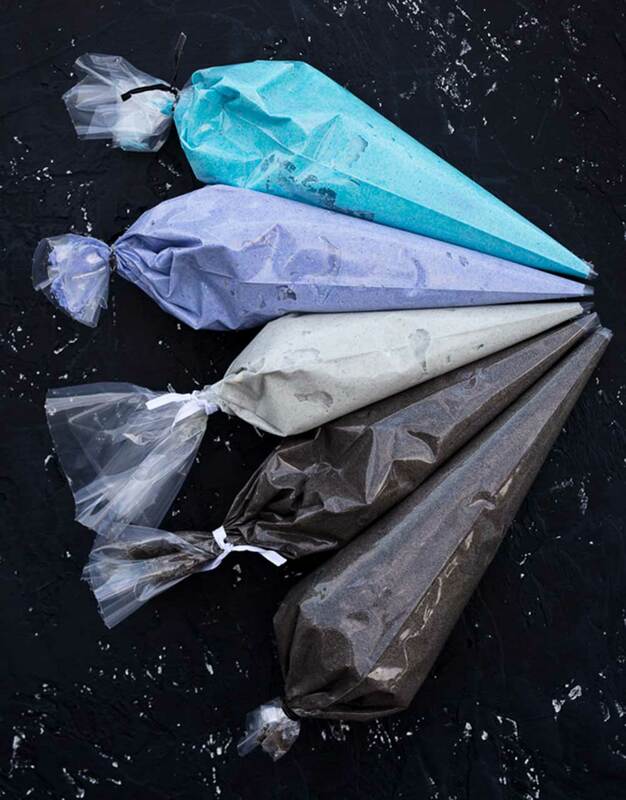 Place the 4 or 5 single-colored piping bags inside of a large piping bag fitted with your tip of choice. I used my star tip . 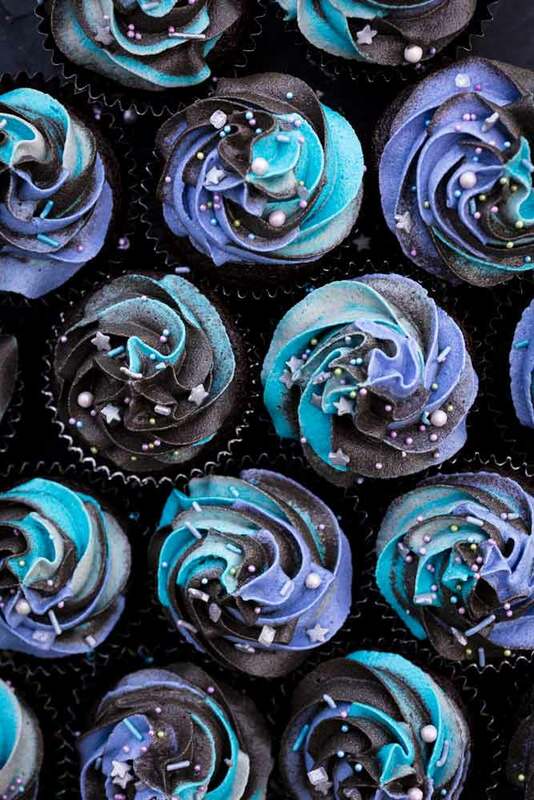 I mean what else would you use for a galaxy themed cupcake? 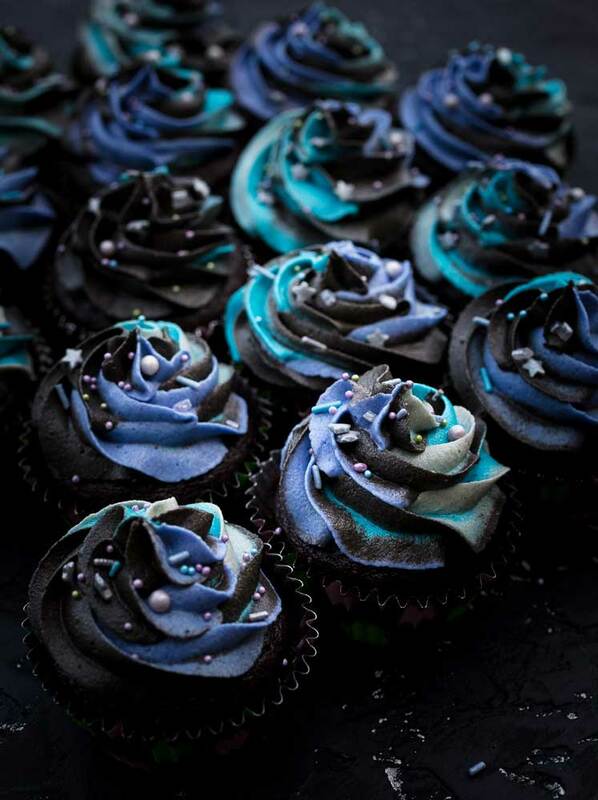 Pipe swirls of frosting onto each cupcake. 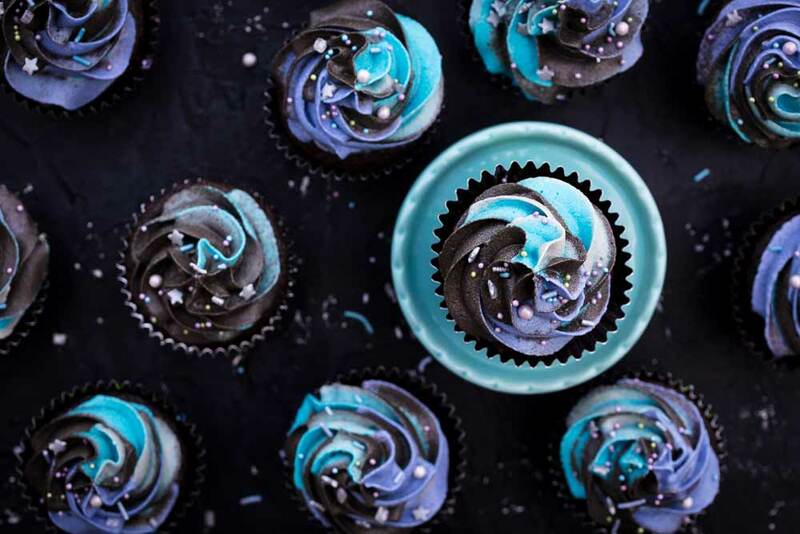 The first cupcake won’t look great because it takes a sec for the colors to start swirling together, so if you’re worried about having an ugly one, maybe start piping on a plate until it starts looking good before doing the cupcakes. 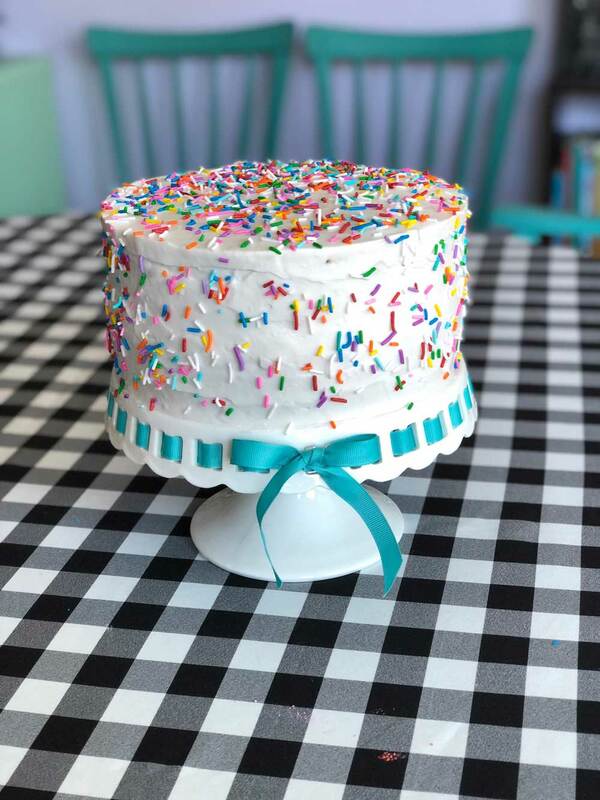 Top with vegan sprinkles. 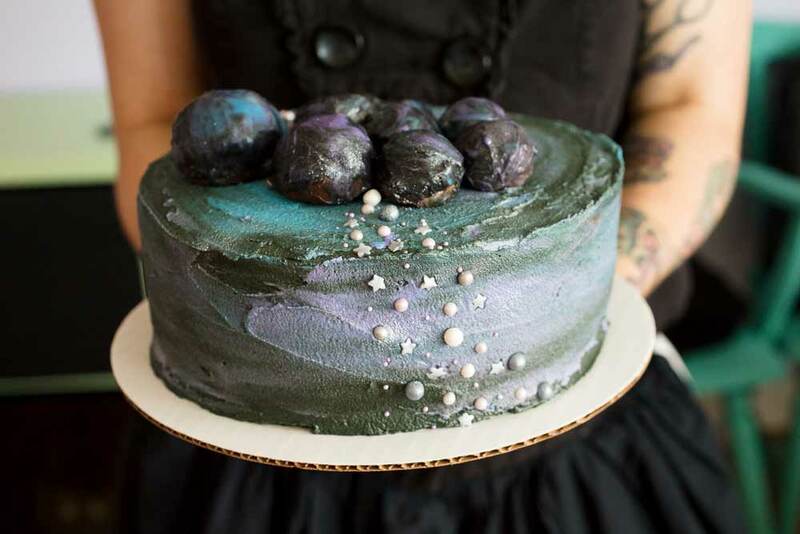 I used a combination of Mermaid’s Tail and Magical Stardust from Baking Time Club. Chill cupcakes, and remove from fridge 30 minutes before serving.